Come celebrate the publication of Working Reclaimed Wood: A Guide for Woodworkers, Makers & Designers, a new book by Yoav Liberman. Yoav is a furniture designer, woodworking teacher and tool inventor. His wood art has been exhibited widely. He is also a blogger for Popular Woodworking magazine. 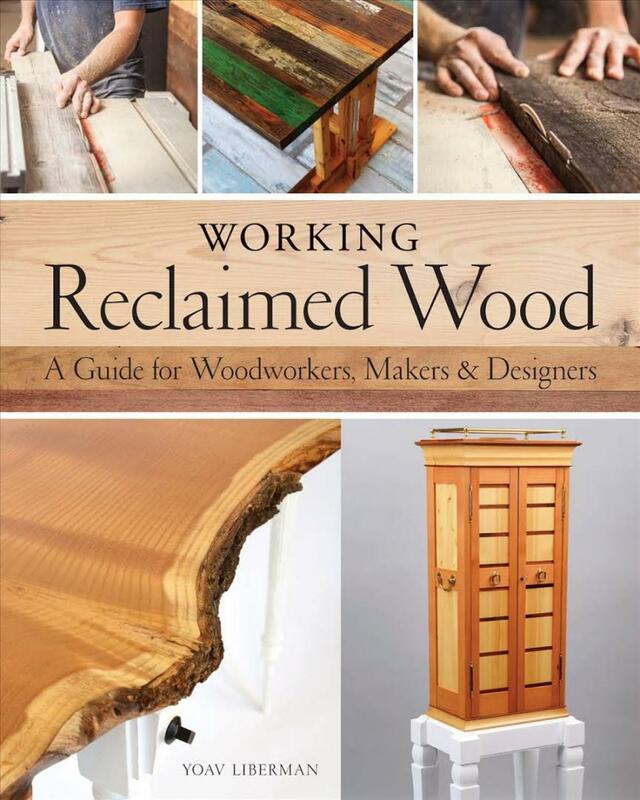 Yoav will will sign copies of his book and share his insights about working with reclaimed wood. Click here for more information about Working Reclaimed Wood. Refreshments served. All are welcome. Date/time: Saturday, December 15, 2018 from 12 - 3 pm. How is parking by that time of day? I know the street gets congested during the day, but has most of that cleared out by 6? We are at the end of a dead-end street. By 6 o'clock or even a little earlier the street is deserted. Plenty of parking!